You've got piles of photos of different themes on your Mac computer, to name a few, photos about a wedding rehearsal dinner, about graduation ceremony, and more. Instead of simply letting them sit somewhere, you surely want to create a wonderful photo slideshow on Mac from these amazing photos so as to share with your friends and family. 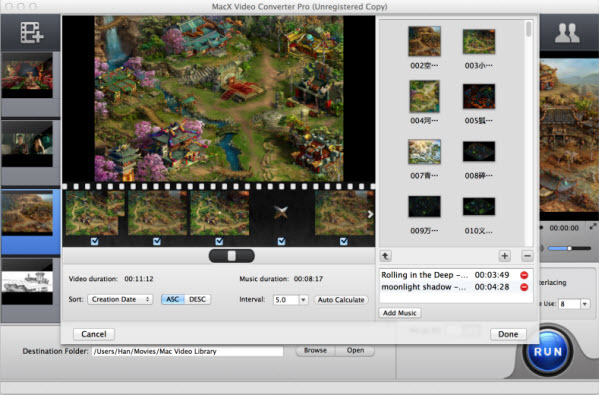 As a result, a slideshow maker for Mac that helps you turn your photo collections into a video slideshow is deemed as indispensable. 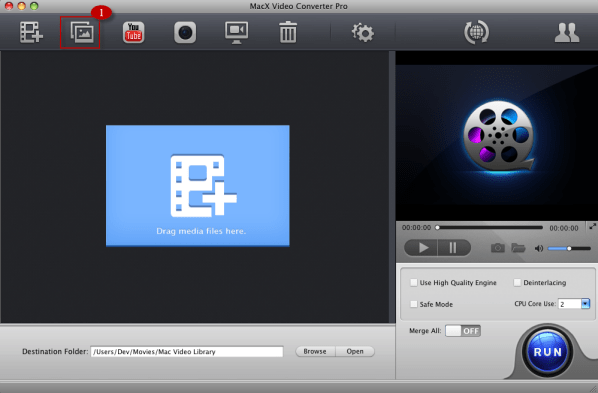 To avoid spending a long time finding a proper slideshow creator for your Mac in vain, this article will introduce you a powerful software MacX Video Converter Pro that helps you whip up beautiful slideshows of weddings and other special occasions easily. As the best tool to make slideshow on Mac, it allows you to convert photos to beautiful video slideshow that can be uploaded to YouTube, FaceBook, blog and played on any mobile device, be it iPhone, iPad or Android. Therefore, you can weave photos and video into work of art to amaze anyone. The following steps will show you how to create photo slideshow on your Mac with the best-ever photo slideshow maker for Mac. A powerful yet simple slideshow tool for macOS easily make slideshow with photos/images, add music, add special effects, output to any video formats, edit special parts etc. Step 1: Import the Pictures Folder. This photo slideshow maker for Mac helps to convert a series of pictures into a stunning video as FLV, MOV, MP4 file, etc for playback on iPhone, iPad, Android, etc. So from the drop-down box, selecting the output format is all at your fingertips. Tips: There are multiple options given in the program, such as, you can edit your photo slideshow to make it personalized. After hitting the "Edit" button, click "Add Music" to add the audio tracks from the list to the video as background music. You are also allowed to add or delete images, set the order of appearance according to photo location, creation date or file name. Click "RUN" button and then you can just go out for a walk or take a nap, and the photos will be made into slideshow on your Mac when you come back. 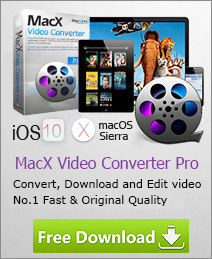 Acting not only a slideshow maker for Mac OS X, MacX Video Converter Pro also works as a brilliant video converter, YouTube downloader and screen recorder. It lets you download and convert video to MP4, FLV, AVI, etc for playback on HTC, Samsung, iPhone, iPad, etc and empowers you to record on-screen activities on your Mac with lossless quality. Making a photo slideshow shouldn't be difficult, frustrating or extremely time consuming. 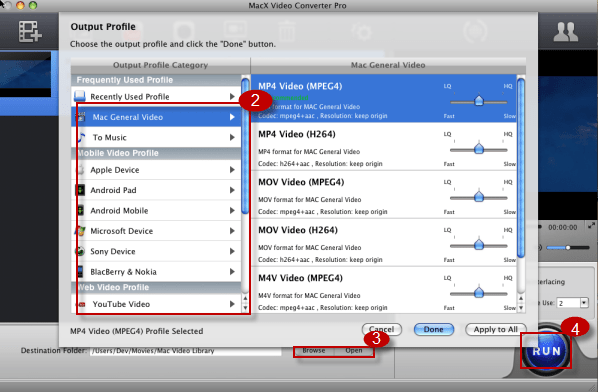 Here we'll take you through MacX Video Converter Pro. With this powerful slideshow maker for Mac, you'll be amazing your friends and family in no time at all with this quick yet impressive trick. If you are wishing to make photo slideshow for uploading to YouTube, don't worry, this guide shares two ways to turn photos into a video slideshow with music for uploading using YouTube and slideshow maker for Mac.